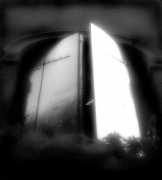 Joseph Bellows Gallery is pleased to present an exhibition of photographs by Robb Johnson. The exhibition will be on view from September 5th through November 8th, 2008. An opening reception with the artist will be held on Friday, September 5th (6-8 pm). 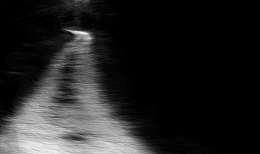 Robb Johnson's photographs are at once pleasantly serene and hauntingly ominous. 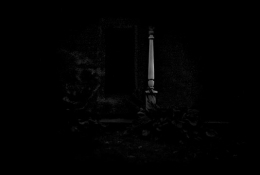 Photographing only at night in dark, atmospheric conditions, Johnson's black-and-white images are imbued with mystery and drama. 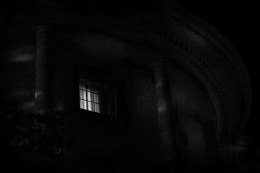 Johnson's use of chiaroscuro leaves much of the image in shadow and reveals only just enough to make out subtle forms such as a wooden birdhouse, a New York terrace, or a park bench. 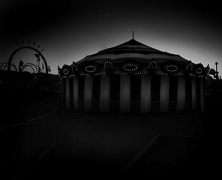 In a dreamlike scene of an empty carnival lot after dark, a striped carousel tent is defined by a halo of light which surrounds it, while the other carnival fixtures are seen only in dark silhouette. 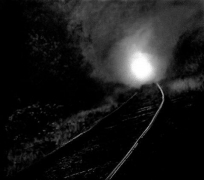 In another image, the raking light of an approaching train illuminates only the thin, shiny rails of the curving tracks ahead, leaving the rest of the image in complete darkness. Johnson says of his work, "In my visual world, what you don't see opens up your imagination, allowing the mystery of the unknown to color the image. These quiet and often mysterious settings offer a mystical reality. What you don't see is as important as what you do see…"
Robb Johnson earned a BFA in Photography at the Art Center College of Design, Pasadena, CA. 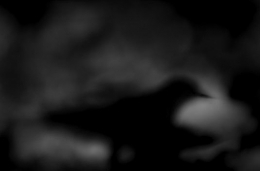 His work has been featured in B&W Magazine's Spotlight, and B&W's Single Image for 2006, 2007 and 2008. His work was recently included in the Art of Photography Show, San Diego, CA.